In February of 2012, a 19-year-old female student at Northwestern University alleged that tenured and highly popular philosophy professor Peter Ludlow sexually assaulted her after driving her to an off-campus art show, illegally plying her with alcohol, making a series of sexual advances that she repeatedly declined, and finally, when she was too drunk to resist, taking her back to his apartment where the student claims she blacked out only to then wake up in his arms with her blouse unbuttoned. The student reported the incident to Northwestern authorities and an investigation was launched by the school's Sexual Harassment Prevention Office. After interviewing both the young woman and Ludlow, the office ended up siding in the student's favor, finding that Ludlow exhibited "unwelcome and inappropriate sexual advances." The student was informed that the Sexual Harassment Prevention Office would "work with the [dean's] office on implementing needed corrective and remedial actions." And then...and then practically nothing. Ludlow was allowed to continue teaching with full privileges (although Northwestern is now claiming he was refused an endowment chair, was required to do sensitivity training and denied a raise following the incident). According to Joan E. Slavin, who conducted the investigation, "there has never been any recommendation" that Ludlow lose his job. He continues to work at Northwestern and has recently accepted a tenured position at Rutgers where he did not disclose the past charges against him. Additionally, Ludlow's lawyers are quick to shutdown any talk of the incident from news outlets by threatening defamation lawsuits because — and this should be noted — Ludlow has never been accused nor found guilty of anything in the court of law. But what of the student? After two incredibly difficult years, the woman (now a junior) is suing Northwestern University in federal court. At the heart of the student's complaint is the allegation that the university violated Title IX, the law that obligates universities to investigate sexual misconduct claims in a timely fashion, and provide an environment free of retaliation against the people who make the claims. 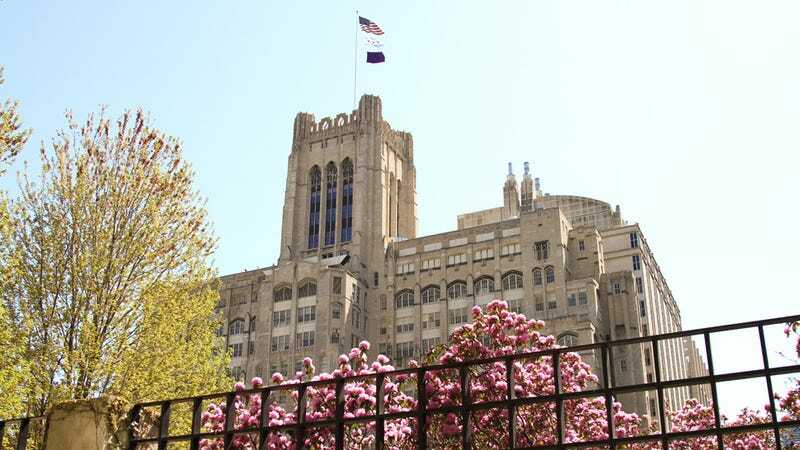 The student's suit alleges that Northwestern acted with "deliberate indifference" by allowing Ludlow to keep teaching, and committed "retaliation" by allowing him to threaten the defamation suit. The filing asks for damages, medical costs related to the assault, and attorney's fees—and, most importantly, for "proper remedial actions" to be taken regarding Ludlow. Schuman has been in contact with both the young woman (those conversations are off the record) and Ludlow's lawyer Kristin Case who — predictably — fired back that the student "propositioned" her client and that Ludlow "refused her advances." Worth repeating: Ludlow's version of things do not match what was found in the investigation conducted by Northwestern's Sexual Harassment Prevention Office. Ludlow still has plenty of supporters. Not only did he only face minimal punishment by Northwestern (the student, by the way, was never made aware of any sort of reprimand), but he is still adamantly defended by some of his more vocal peers in the philosophy community and he has continuously been able to silence the woman's story. It is unclear how Rutgers will proceed with hiring Ludlow in the midst of the accusing student's federal lawsuit.